Welcome to the November 27, 2017 edition of ACM TechNews, providing timely information for IT professionals three times a week. Researchers at Yonsei University in South Korea are developing an artificial intelligence (AI) system to help the journalism industry regain the public trust and recoup lost earnings. The initiative, called the News Trust Committee, is comprised of 15 members, including journalism scholars, multidisciplinary journalists, computer scientists, and experts in language processing. The team believes the journalism industry needs to become more reliant on algorithms because algorithmic decisions are affecting the way in which people perceive reality and form opinions via filtering, making priorities, and association. Yonsei professor Yoon Young Chul notes the media industry should strengthen regulations on platforms such as new media and social media, and leverage portals by collaborating with them, stop providing news to portals by establishing commercial platforms of their own, and focus on paid subscription models. "News diversity is affected by algorithmic diversity; we need an algorithm method which is an alternative to the one based on the 'give what they want' logic," Yoon says. Researchers at Sussex University in the U.K. say they can replicate hallucinatory experiences without chemically altering users' consciousness by combining virtual reality (VR) technology and Google's Deep Dream neural network system into a "Hallucination Machine." Deep Dream is programmed to identify patterns and features within images with an overemphasis on pattern recognition, and the Sussex team used a modified version of the system to process video footage of the university campus. Volunteers shown the footage while wearing a VR headset noted it resembled psilocybin-induced hallucinations. Participants also said their experience of a loss of control, self, or temporal sense suggests the system can reproduce certain psychedelic effects. The team believes the levels at which the Hallucination Machine can be calibrated may match levels of visual processing in the brain. "Overall, the Hallucination Machine provides a powerful new tool to complement the resurgence of research into altered states of consciousness," the researchers say. Autonomous vehicles stand to benefit mobility-challenged seniors and other people with physical, cognitive, and mental disabilities, and designers, automakers, and federal regulators are working to help address the issues involved in making that possible. 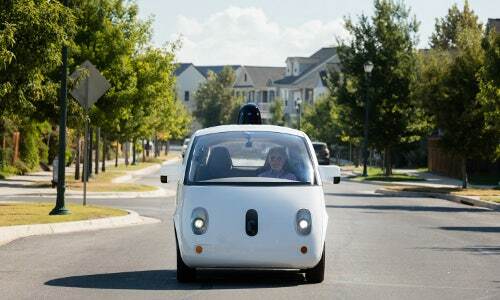 Driverless car developers are attempting to strike a balance between keeping riders fully apprised while also maintaining a certain level of simplicity in the riding experience. Waymo, for example, says it has embedded design elements in its driverless car technology that are intended to help the elderly and people with disabilities, starting with an accessible smartphone app that promotes ease of use. Waymo also notes it is investigating techniques in which a vehicle could emit an audible signal to a blind person when it arrives for pickup, and keep the passenger informed of progress to their destination. Meanwhile, hearing-impaired passengers will be able to follow the vehicle on screens displaying selected information, including their route, traffic signals, crosswalks, other cars, pedestrians, and cyclists. Researchers at the U.S. National Aeronautics and Space Administration's Jet Propulsion Laboratory (JPL) have demonstrated that drones controlled by artificial intelligence (AI) may be safer than those controlled by humans. Researchers previously had developed a vision-based navigation algorithm for spacecraft, and now they are applying the algorithm to drones. 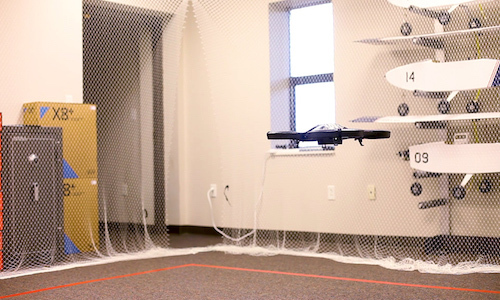 In the demonstration, researchers pitted a human-controlled drone against an AI-controlled drone, and found the latter flied more smoothly around the course. In addition, the human pilots tended to accelerate more aggressively, making the drone's path jerkier, says JPL's Rob Reid. However, this more aggressive piloting resulted in faster course times, as the AI-controlled drone took an average of 13.9 seconds to complete one lap around the course, while a professional pilot took an average of 11.9 seconds. Although the professional pilot technically beat the AI on an obstacle course, the researchers found the AI pilot was more cautious and consistent. The European Union-funded Quantum Controlled Ultrafast Multimode Entanglement and Measurement (QCUMBER) project has investigated the use of squeezed states in continuous-variable systems in distinct temporal modes founded on integrated optics devices, technology that could advance the science of quantum information processing. The project explored the integration, within a waveguide system, of squeezing as well as mode-selective frequency conversion, setting up an analogy between the Quantum Pulse Gates and spatial networks to outline a process for entangling squeezed states or constructing complex multimode continuous-variable states. The QCUMBER researchers examined the squeezing achievable in a KTP single-pass, single-mode waveguide, determining it as possible up to 20 decibels. Meanwhile, in the spectral domain, they also realized entanglement in a continuous-wave frequency comb structure of up to 60 temporal modes and about 10 modes in a pulsed, ultrafast system. The QCUMBER team believes leveraging the structure of ultrafast quantum pulses will lead to new innovations in scalable quantum information processing. 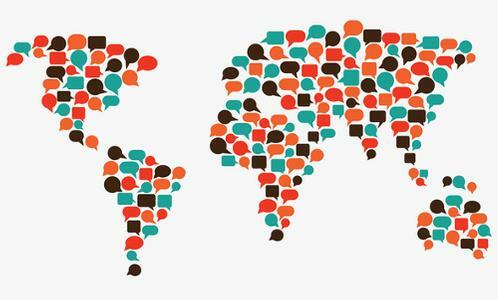 Researchers at Ohio State University are working on the Low Resource Languages for Emergent Incidents (LORELEI) project, which aims to develop technology for the translation of very uncommon languages. The researchers working on the project are using the Ohio Supercomputer Center's Owens Cluster to develop a grammar acquisition algorithm to learn the rules of lesser-known languages so disaster relief teams can react quickly. The researchers are developing a Bayesian sequence model based on statistical analysis to determine a given language's grammar, which the team hypothesizes can be trained to learn a language and make it syntactically useful. The researchers are using the Owens Cluster because the system's graphics processing units enable the team to increase the number of categories it can analyze. "We can increase the complexity of the model exponentially, so we can use 45 to 50 categories and get results in an even shorter amount of time," says LORELEI researcher Lifeng Jin. Researchers at Rutgers University have developed an artificial intelligence (AI) system that can identify an art forgery by examining the piece's brush strokes. The new system analyzed nearly 300 line drawings by Picasso, Matisse, Modigliani, and other famous artists and created a dataset of about 80,000 individual strokes. A deep recurrent neural network then learned what features in the strokes were important to identify the artist. In addition, the researchers trained a machine-learning algorithm to look for specific features, such as the shape of the line in a stroke. The data yielded two different techniques to detect art forgeries, and the combined method was able to correctly identify artists about 80 percent of the time. The researchers commissioned other artists to create drawings in the same style as the pieces in the dataset, and they found the system was able to identify 100-percent of the forgeries by looking at a single stroke. Cancer researcher Jennifer Byrne in Australia and Cyril Labbe at the University of Grenoble Alpes in France have released software that detects erroneous gene sequences reported in experiments, using it to identify flaws in more than 60 papers, mostly cancer studies. Their Seek & Blastn program is designed to find studies with incorrectly identified nucleotide fragments by extracting nucleotide sequences from uploaded papers and cross-checking them against a database of nucleotides called the Nucleotide Basic Local Alignment Search Tool (Blastn). "Seek & Blastn tries to find mismatches between the claimed status of a sequence...and what the sequence actually is," Byrne says. 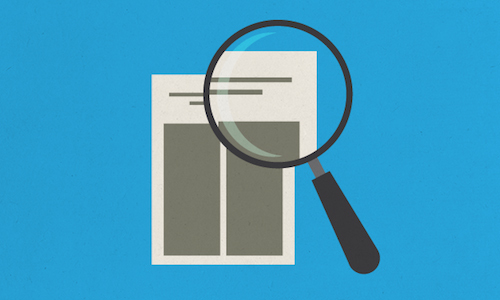 Labbe notes the software so far only spots misidentified human sequences, and also runs into difficulty picking up such sequences if the description is unclear in the original study. Indiana University's David Allison says tools such as Seek & Blastn are most useful if they promote the avoidance of scientific errors. Researchers at Purdue University have developed a method for identifying biological markers in small amounts of blood, and they say it could be used to detect a range of diseases, infections, and different medical conditions at early stages. 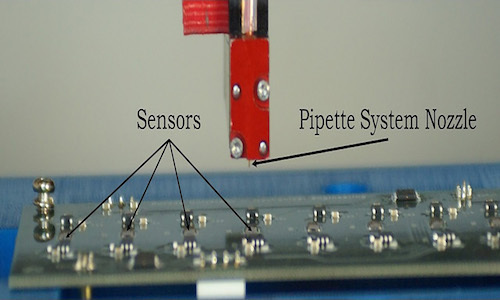 The researchers created small vibrating sensors known as microelectromechanical resonators, which can detect biomarkers using only a single drop of blood. The team says the sensors use a piezoelectrically actuated resonant microsystem, which when driven by electricity can sense a change in mass. Purdue professor Jeffrey Rhoads says the sensitivity of the resonator increases as the resonant frequency increases, which makes the method an excellent candidate for biomarker detection. In addition, Rhoads says the new method is much faster and less expensive than other types of medical tests. He notes the new method also can identify a minute amount of protein in a very small blood sample, a breakthrough that could be used to detect traumatic brain injuries in athletes. 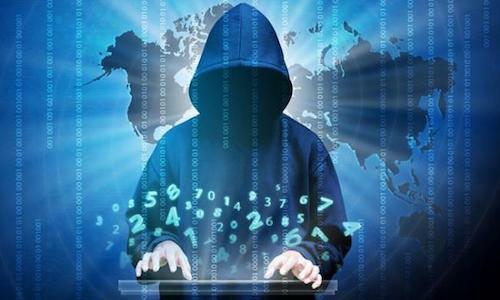 The Scottish Informatics and Computer Science Alliance (SICSA), which consists of Scottish computer scientists and other researchers, has launched Cyber Nexus, a project that aims to make Scotland a world leader in cybersecurity and cyber resilience. The Cyber Nexus project is being led by University of St. Andrews professor Kevin Hammond, who also is director of SICSA. Hammond says Cyber Nexus unites key researchers from 14 Scottish universities to address cybersecurity issues and share their expertise. Over the next 18 months, the Cyber Nexus researchers will work with academia, industry, and the public sector to review and monitor cybersecurity and cyber resilience capabilities in Scotland. The researchers will raise awareness of Scotland's capabilities through public education, outreach, and skills development. Hammond notes Cyber Nexus will focus on a collaborative approach to working with industry and government to build skills, expertise, and cooperation, and by transferring knowledge, technology, and capabilities. Researchers at Bielefeld University in Germany have found a way to use heat energy created by electronic devices to generate magnetic signals known as spin currents, which could one day replace some of the electrical current in electronic components. A spin current is produced by differences in temperature between two ends of an electronic component, which are generally composed of magnetic materials such as iron, cobalt, or nickel, and are known as magnetic nanostructures. The researchers tested which materials generate this spin current most effectively from heat. "Depending on which material we used, the strength of the spin current varied markedly" because of the electronic structure of the materials that were used, says Bielefeld's Alexander Bohnke. The researchers used their findings to find suitable materials possessing the appropriate electronic structure, and they found the measured strength of the spin current was up to 10 times higher than that obtained with previously used materials. Researchers at the University of Tennessee, Chattanooga (UTC) are developing a system in which a person can control multiple drones by thought alone. The researchers want to detect patterns in brainwaves that will enable them to give abstract commands to multiple drones. For example, instead of giving a basic command such as "take off" or "land," a user could send out an abstract command such as "search and rescue," says UTC's Zach Ruble. He notes after receiving the command, the swarm of drones will be able to autonomously determine what needs to be done in order to execute the mission. Ruble says in the current system, the brainwaves are fed into a laptop, which sends a Wi-Fi signal to a second computer that sends a wireless signal to the drone. The researchers also are creating a wide "vocabulary" for drone control, which they believe will increase the drone's capabilities.